Is there a better alternative to Z1? Is Z1 really the best app in Action category? Will Z1 work good on macOS 10.13.4? Z1 lets you pilot a variety of powerful ships in an arcade-style, shoot-em-up space adventure. 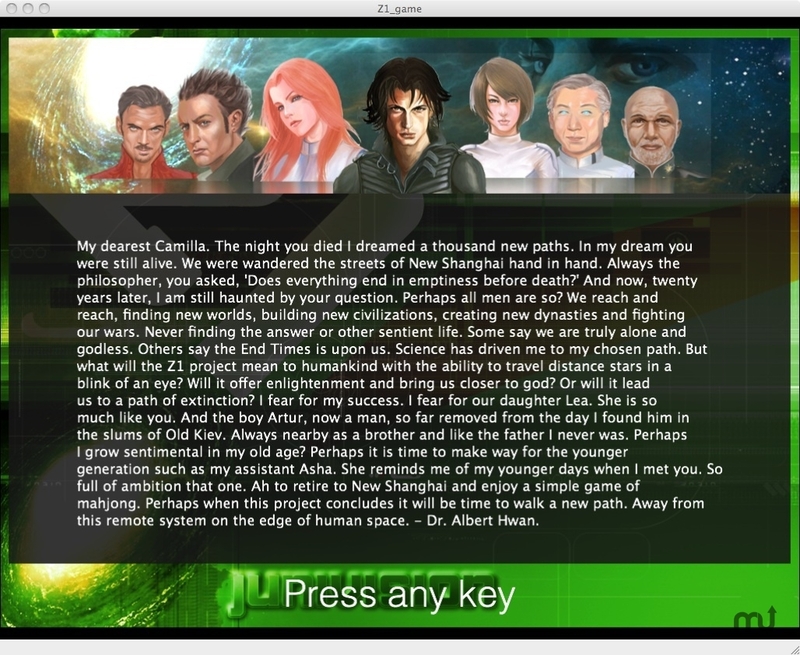 uDevGames 2011 version of game released as freeware. Expect much more in future versions. Z1 needs a review. Be the first to review this app and get the discussion started! Vast is space… complete is the destruction… in my womb you rejuvenate… fragmented visions of past horrors, endless suffering and the chaos of humanity's great retreat stirs your soul. Reborn for my love. Reborn for my vainness. Reborn for my vengeance. Too soon we must shift to real space to anew our witness of this dread Krek plague. Cruel are their unrelenting swarms. Shorn with mercy. Yet as I enumerate their patterns I am consumed by the revelation of their miscalculation. The way is clear. Rebirth is near. All shall fear. Our saga begins on the edge of human space in a system owned by the energy consortium Drake Reliance Group. Located on the science station Shibu Control, senior scientist Dr. Albert Hwan and his assistant Asha, leads a team in developing a technology that will revolutionize space travel. With strife rampart among the outer system and endless crusades between the Order of Adamah and Shorini Soran, the company has placed a garrison of its self-defense forces on the nearby planet of Lazarev under the command of Commander Ckarl. The project is behind schedule and vastly over budget. We join the story as Dr. Hwan's daughter, Lea and her foster brother Artur of Unit 88, undergo Lea's final pilot test….